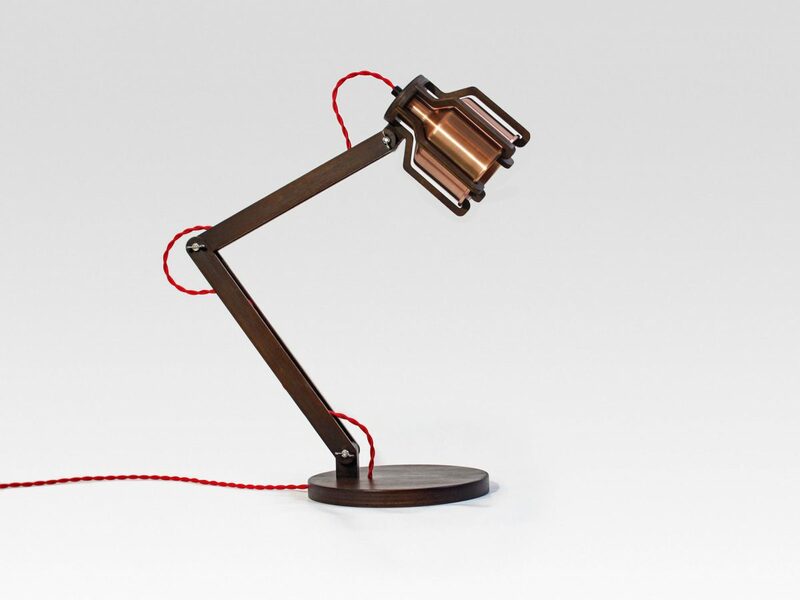 Liqui design distinctive table lamps and desk lamps for commercial interiors. 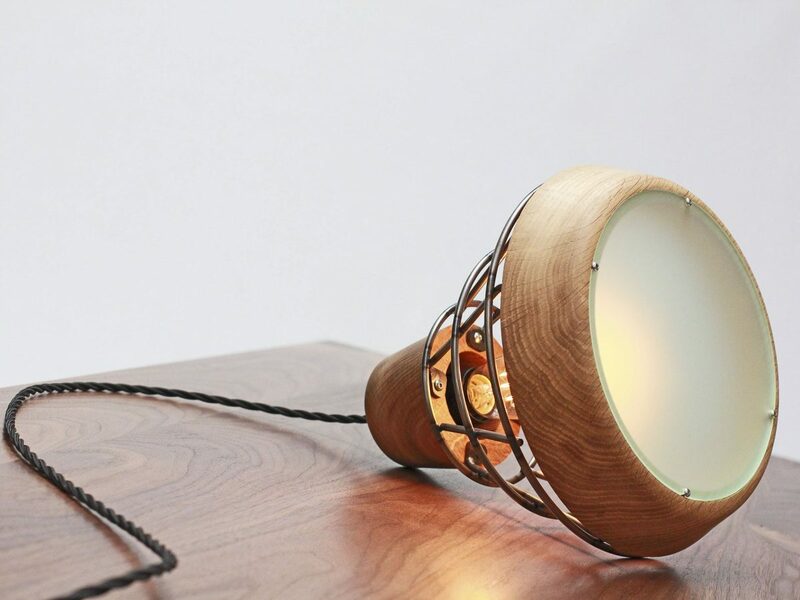 Each of our table lights has its own individual style and features an interesting choice of materials. 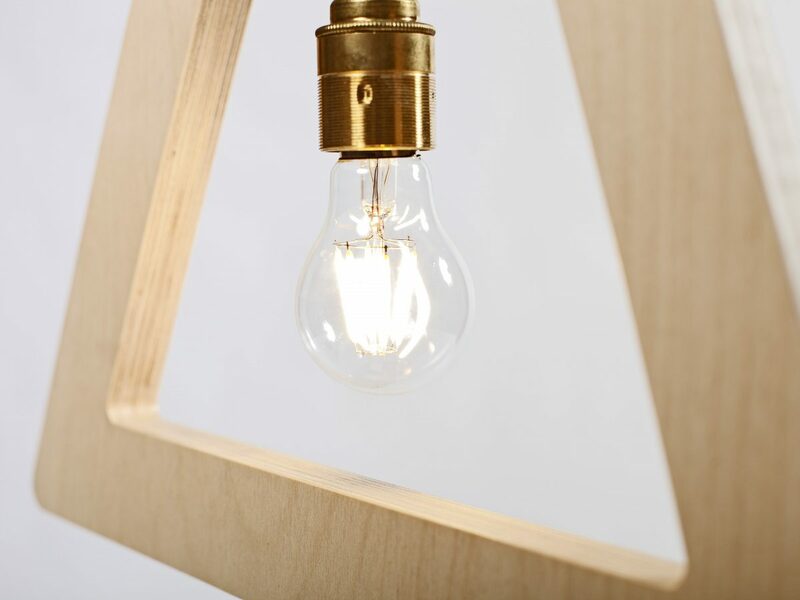 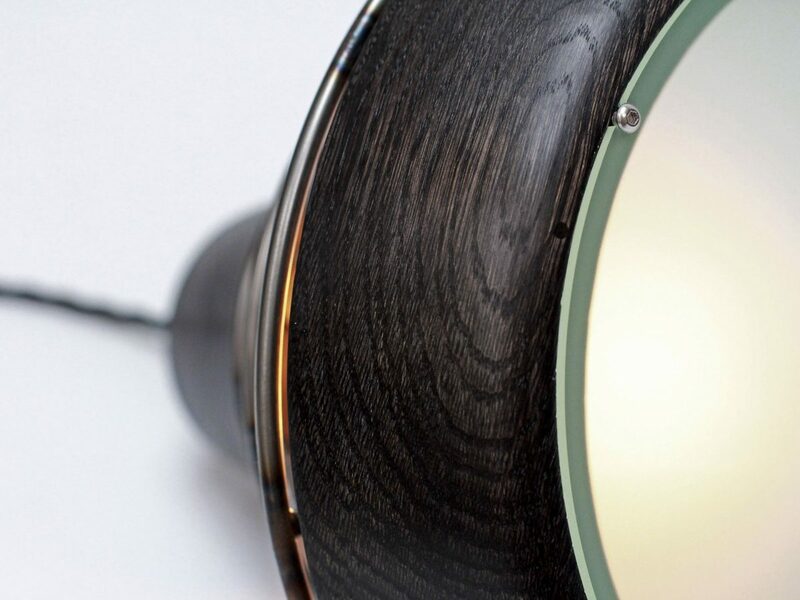 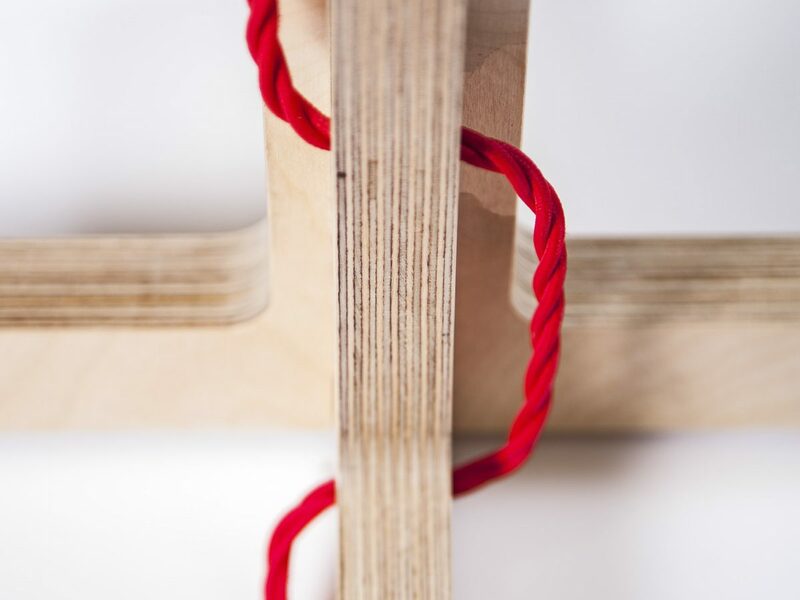 Our original designs for modern table lamps and task lights are made in the UK by our team of craftsmen. 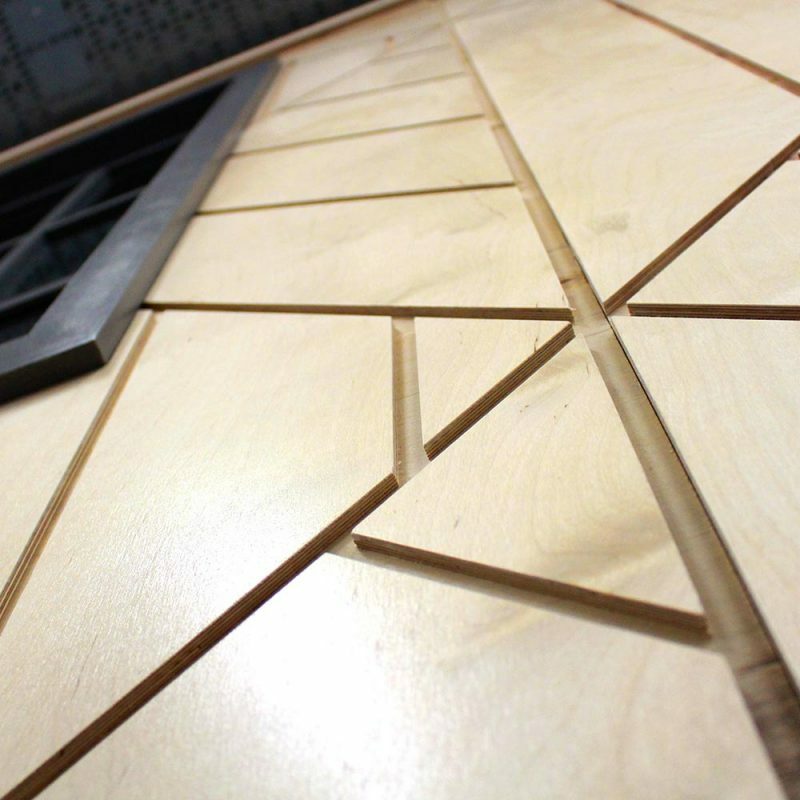 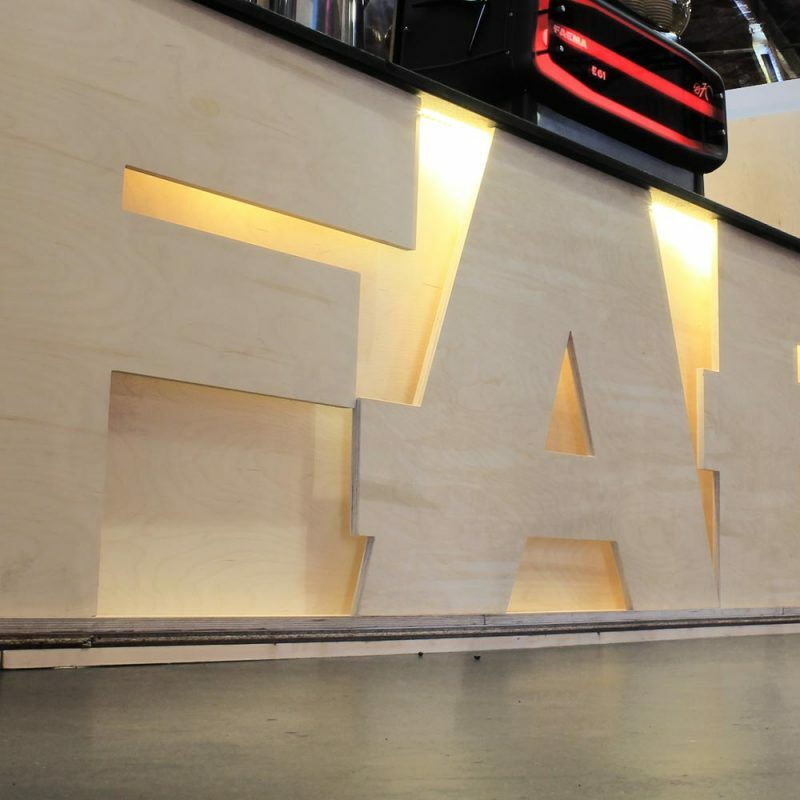 Because we manufacture to order it means we can offer a choice of finishes and materials to our clients; giving them more possibilities when considering their commercial interior design. 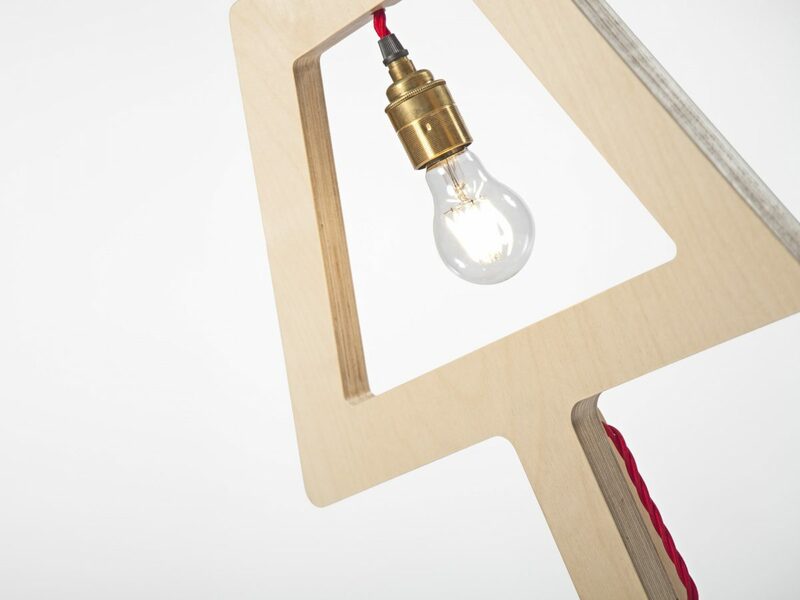 Liqui have taken a simple sign-like flat shape as a starting point and then applied a high gloss finish to create a crisp cut-out 3-dimensional form. 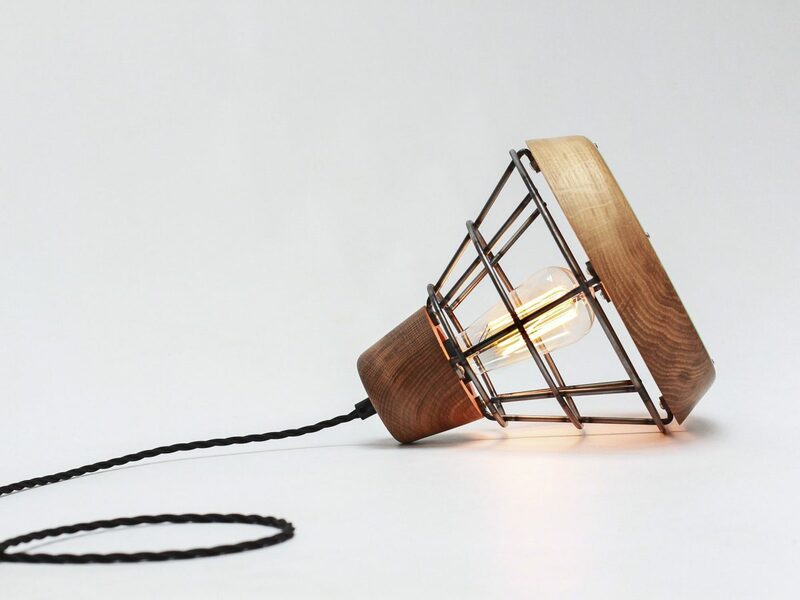 The bulb hangs from the top of the “shade” in a modern take on the bare bulb in the attic look. 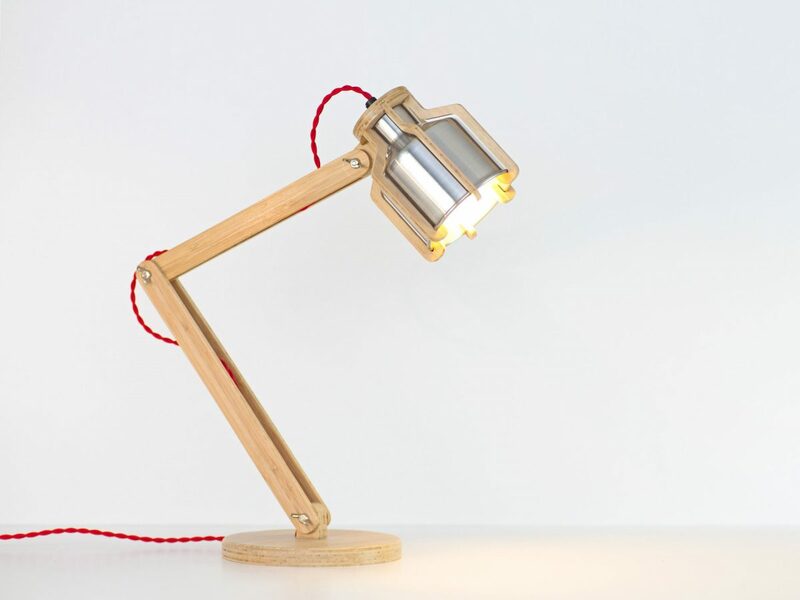 The award winning Work Lamp is inspired by lighting used on construction sites adapted for a contemporary interior environment. 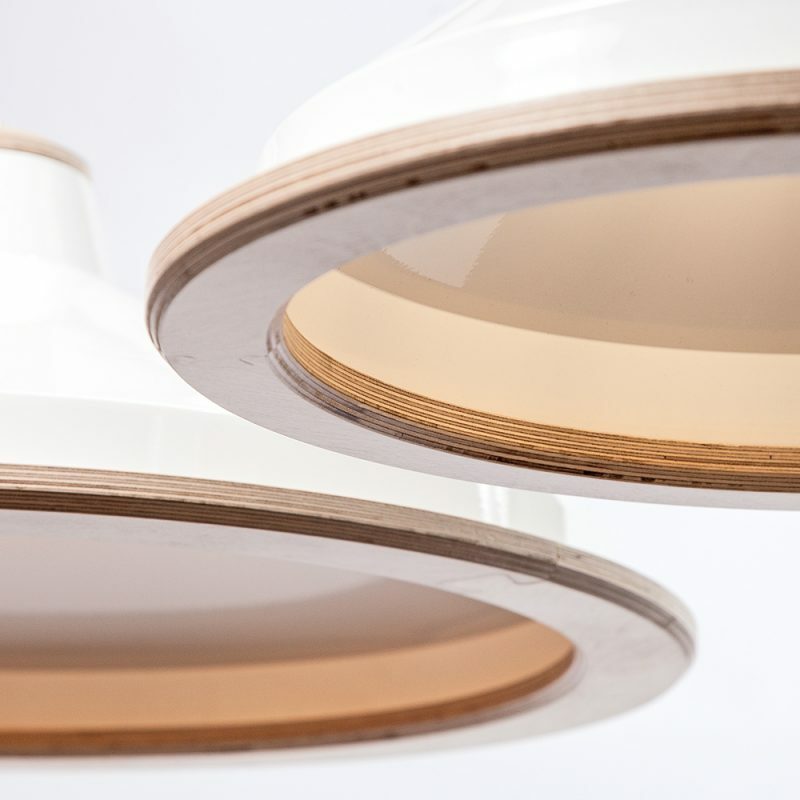 It serves as task, ambient or pendant lighting. 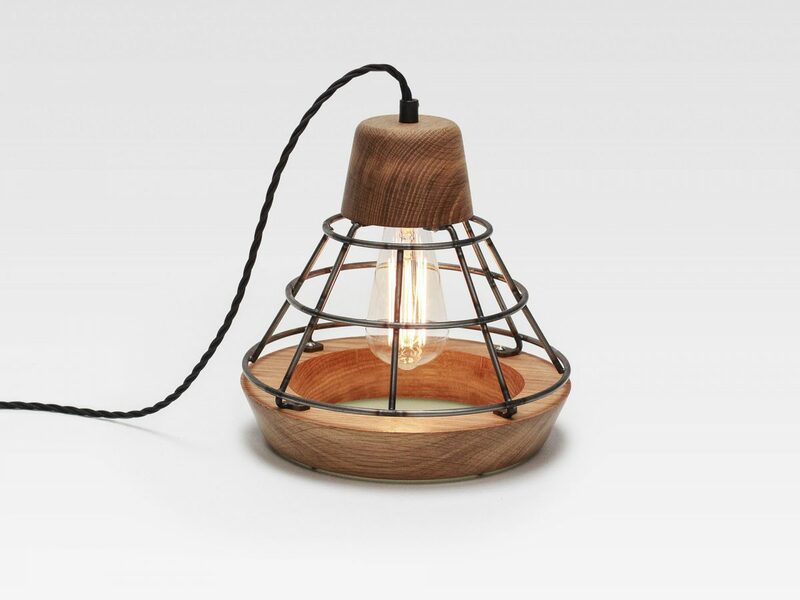 The hand turned opulent Oak contrasts with the industrial appearance of the steel cage designed to both protect the bulb whilst allowing a flood of ambient light to illuminate any space. 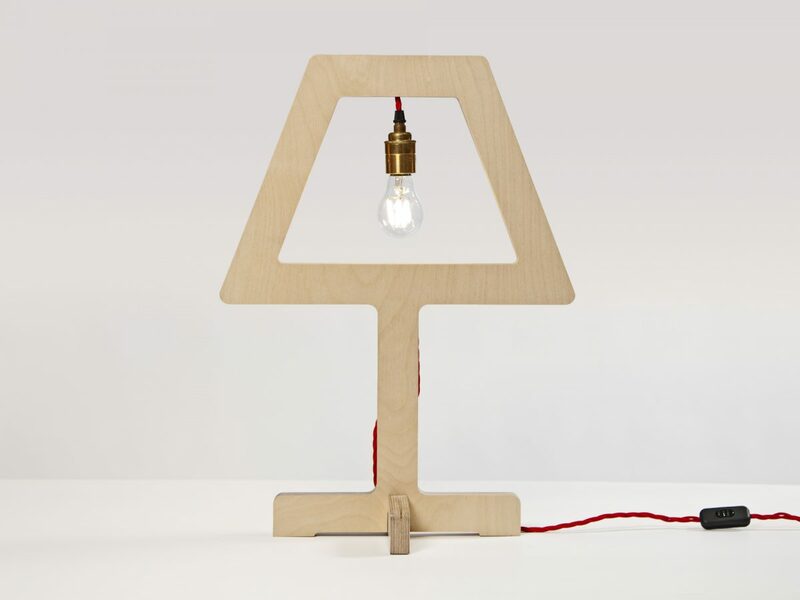 The lamp is designed as a pendant but does not have to be used as such, it can be positioned on its side if the user desires. 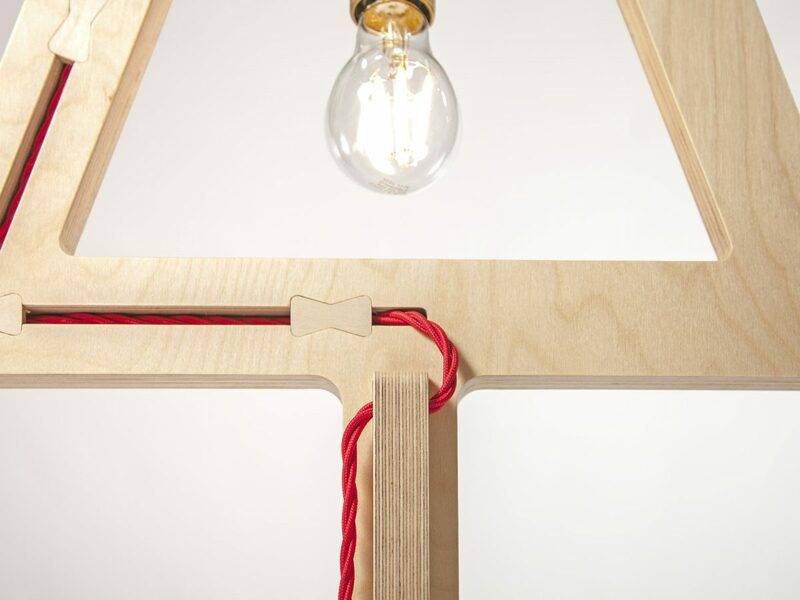 The idea is that when supplied with a long power cable with inline switch the lamp can be placed anywhere that requires illumination. 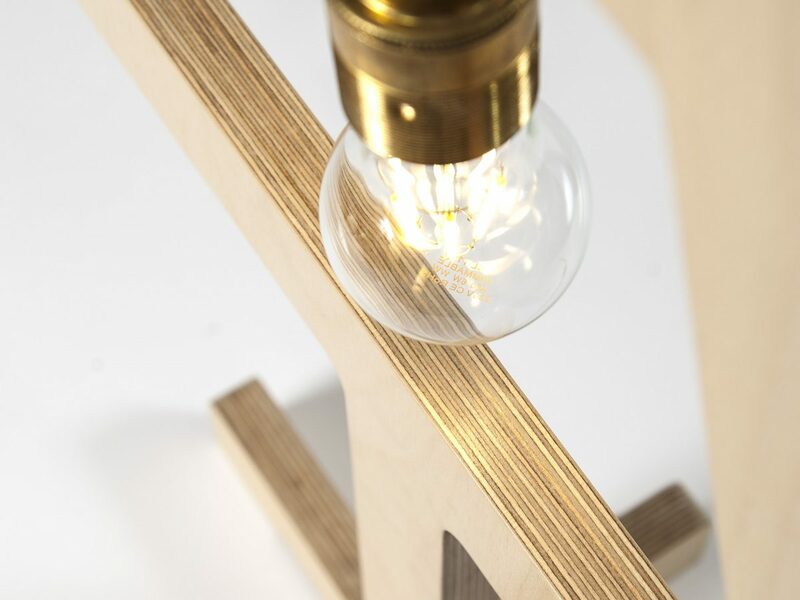 Due to its innovative design and use of sustainable materials, it won the 2015 ADEX Platinum Award for design excellence. 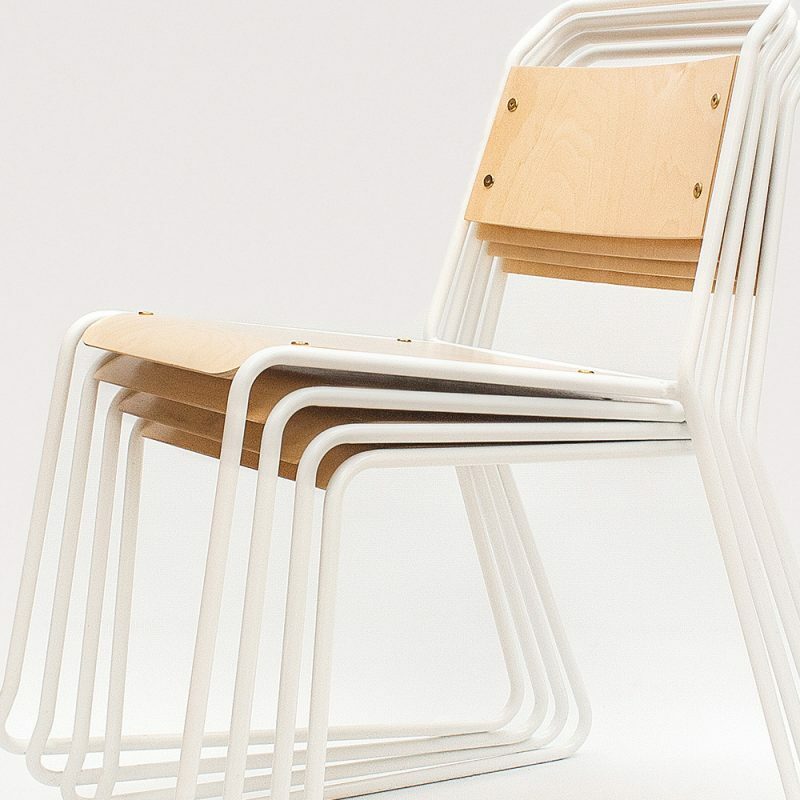 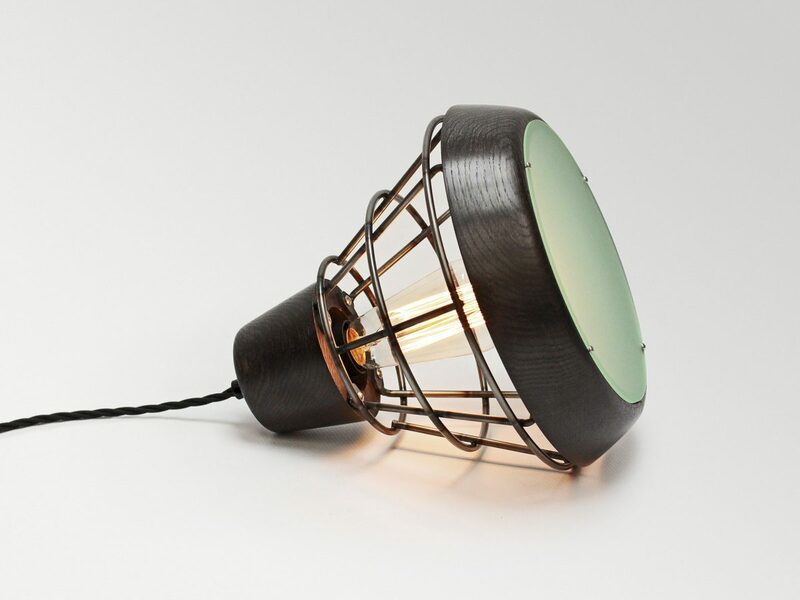 Materials: Sustainably sourced Oak with a steel cage. 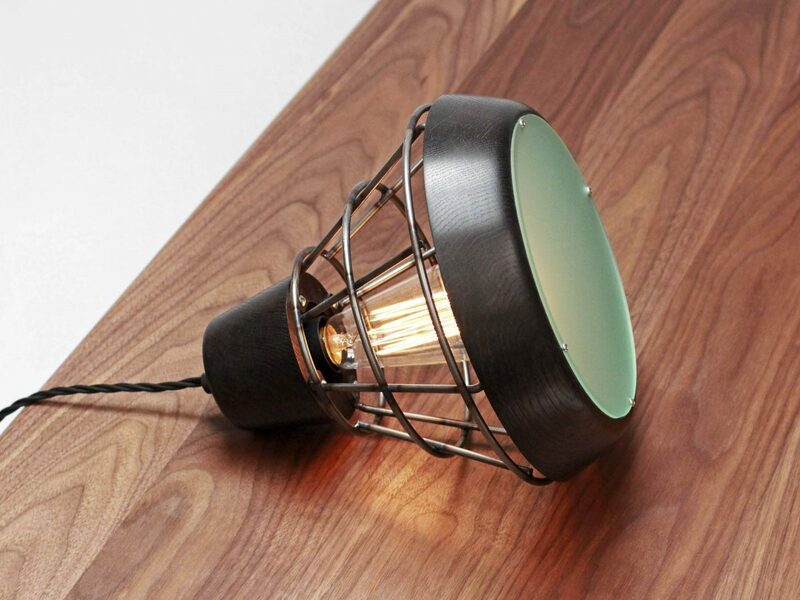 The Cell Desk Lamp takes the industrial look of the spun metal shade with the bamboo cage of the original Pendant Cell light and goes further – translating it into a quirky take on an adjustable desk lamp. 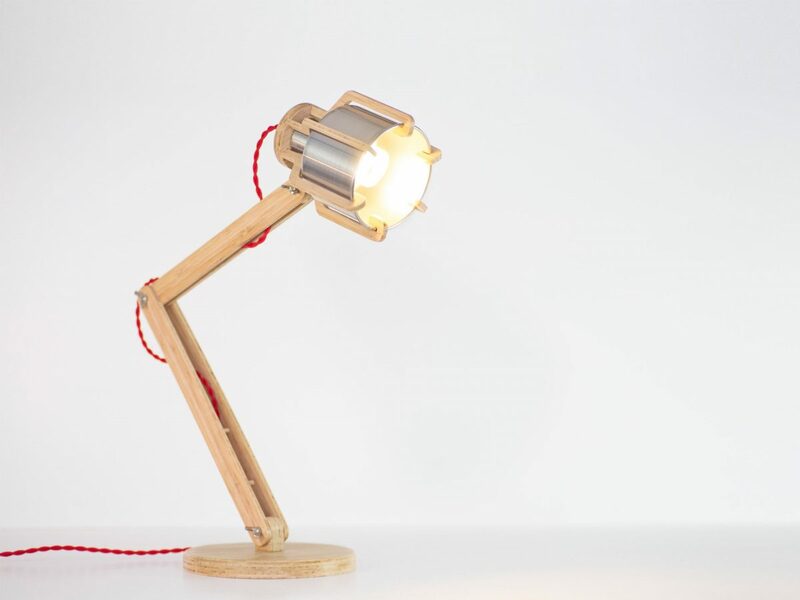 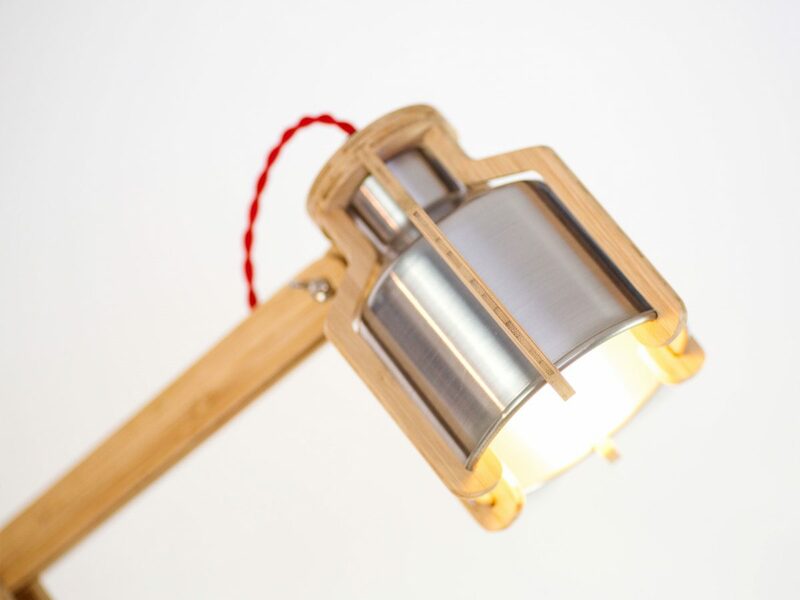 Using simple, yet elegant, mechanical fixings the lamp can be adjusted to hold any pose it is positioned in. 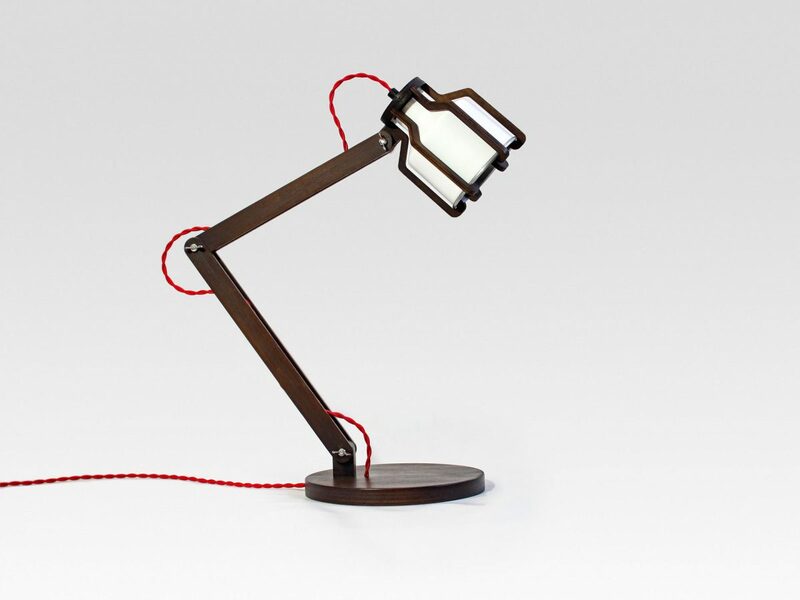 The Cell Desk Lamp offers a robust lighting solution that will look great in any modern style interior.